Product information "Falter FX 203 20 inch wave white Kids Bike"
A children's bike does not have to be heavy! The Falter FX 203 proves it and makes the little ones even more fun. Thoughtful details give the kids great security. And the child-friendly paint job ensures that the children get on the bike with even more fun. In addition, the bike is equipped with a luggage rack, with integrated lighting and mudguards. Thus, one is prepared for all weather conditions and can safely drive home at dusk. 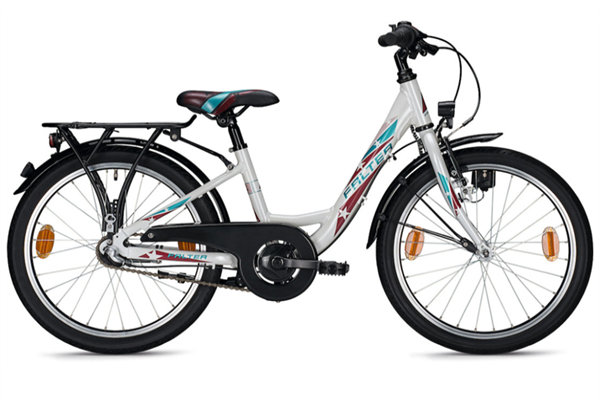 Related links to "Falter FX 203 20 inch wave white Kids Bike"
Customer evaluation for "Falter FX 203 20 inch wave white Kids Bike"